Join the Undead for the Annual Zombie Walk Tomorrow! 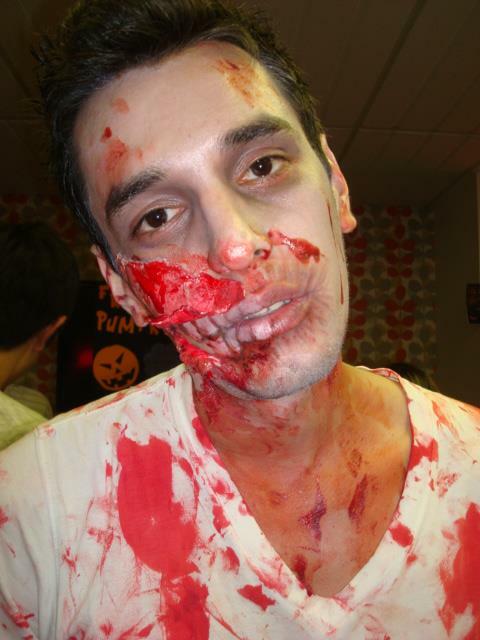 Montreal’s annual Zombie walk is set to take place tomorrow, Saturday, October 27. The walk will start at 3 p.m. outside of the Place du Canada, close to the Bonaventure metro station. Participants are expected to arrive between noon and 3 p.m. to attend the pre-walk festivities. Les Boucaniers en cavale will take your food orders and Le Trou du diable – Microbrasserie, Boutique et Salon will be in charge of drinks! The route will take place on Ste-Catherine street between Peel street and Jeanne-Mance. After the walk all the undead will assemble at Place des Festivals for the rest of the festivities! There will be food trucks, bars and information booths on site! You don’t need to register for the walk, you can just show up in your zombie gear and join the fun! Attention, EC Montreal students!! We challenge you to take part in the zombie walk! It will definitely put you in the mood for Halloween! Although people of all ages can do the walk, the festivities at the club is for zombies who are 18 years or older! Study at our Montreal English school and experience the fun activities in the city!